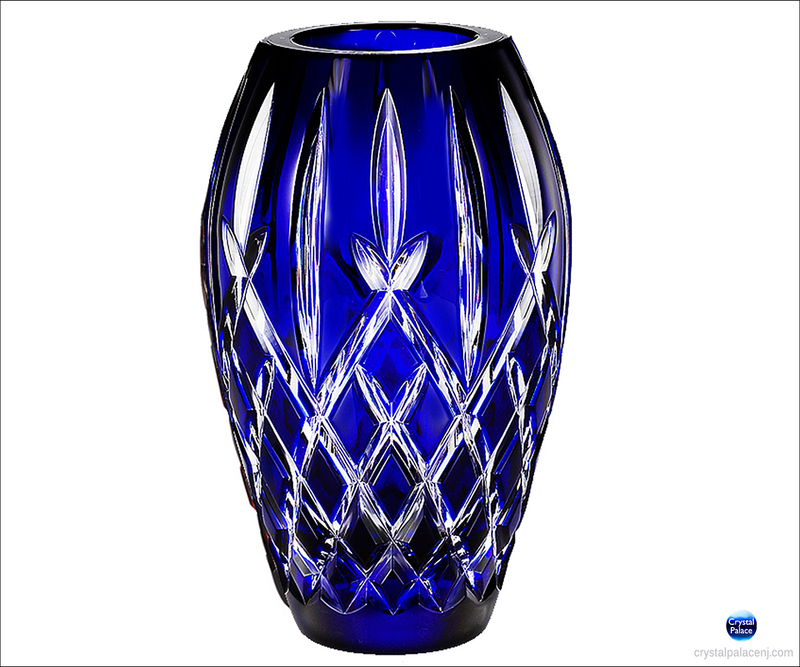 Fresh cut flowers or a dried arrangement would look stunning in this elegant crystal vase; accented by a delicate Cobalt hue. The Araglin Collection by Waterford is characterized by diamond and vertical wedge cuts and an elegant tulip design, creating stunning crystal and stemware with a truly unsurpassed shine and brilliance. Fresh cut flowers or a dried arrangement would look stunning in this elegant crystal vase; accented by a delicate Cobalt hue.